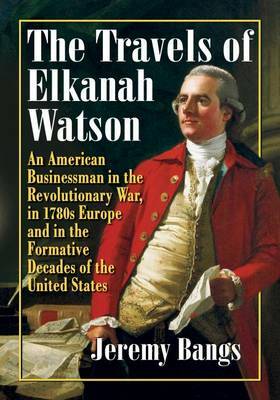 Elkanah Watson (1758-1842) travelled everywhere and associated with everyone - soldiers, politicians, diplomats, Indians, artists, scientists, slave traders and abolitionists. He met the Marquis de Lafayette, George Washington, Benjamin Franklin, John Adams, Thomas Paine and many other American revolutionaries. At 19, he smuggled funds for the Revolution from Rhode Island to South Carolina in the midst of the war, while starting diaries he would keep throughout his life. Returning, he moved from New England to France, carrying letters from Congress to Benjamin Franklin in Paris before setting himself up as a merchant supplying arms to America. As the Revolutionary War came to a close, he delivered the United States' final messages to British Prime Minister Lord Shelburne. His tour of England impressed upon him the value of canals, new industries and enlightened agriculture, which he championed upon returning to America. Watson's travels in the U.S., Europe and Canada come to life in this illustrated biography based on his diaries and notes, and his vast collection of unpublished documents.